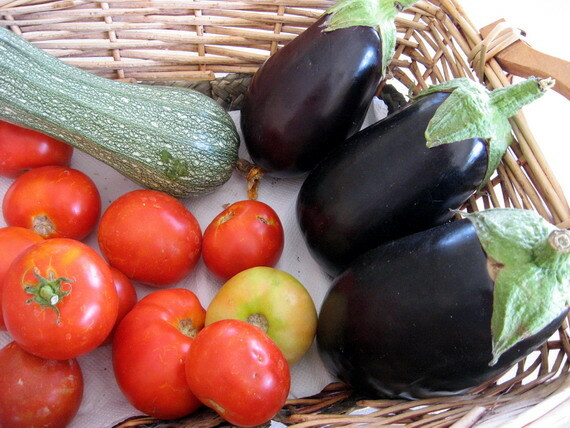 Vegetables grown in the garden at Souvlia. There is one thing that Merrill said on the last trip to Greece which I’ve only now started to believe… She said that the food tasted so much better here. I thought she was exaggerating. 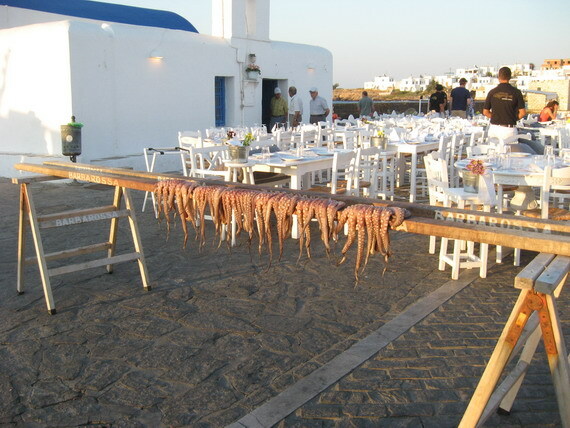 I mean, its almost all home grown here on Paros. If its not grown here at Souvlia in our own garden, Mom gets her vegetables from family or friends. The woman knows or is related to everyone on the island, after all. So, basically, of course it tastes better than supermarket strip-mined vegetables. A vegetable dish made with all home grown vegies. And feta. Naturally. I now know that she meant more than that. Home grown is home grown. We have our own vegie patch in Tasmania so we don’t lack fresh vegetables. And our tomatoes are way better than the tasteless immitation tomatoes we buy in the supermarket. But the tomatoes grown on Paros are something else entirely. I mean wow. Taste explosion. Its not just the fact that its home grown, its the soil here on Paros. The sea air and the soil. It has to be. Why else would things just taste better? I can grow the same things in Tasmania, make the same foods using the same recipes, but it just tastes different. Still good… but different. 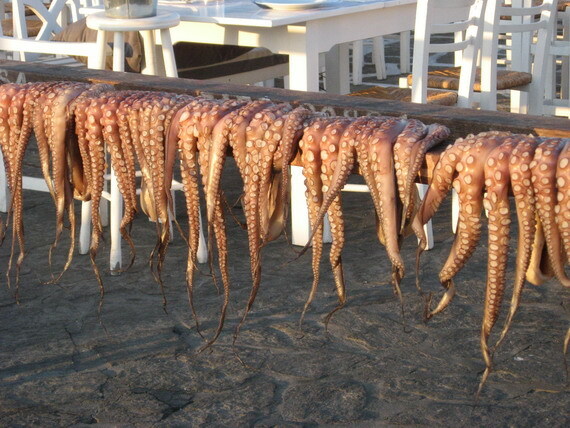 One thing I learned on this trip is that Paros actually produces a whole lot of stuff. 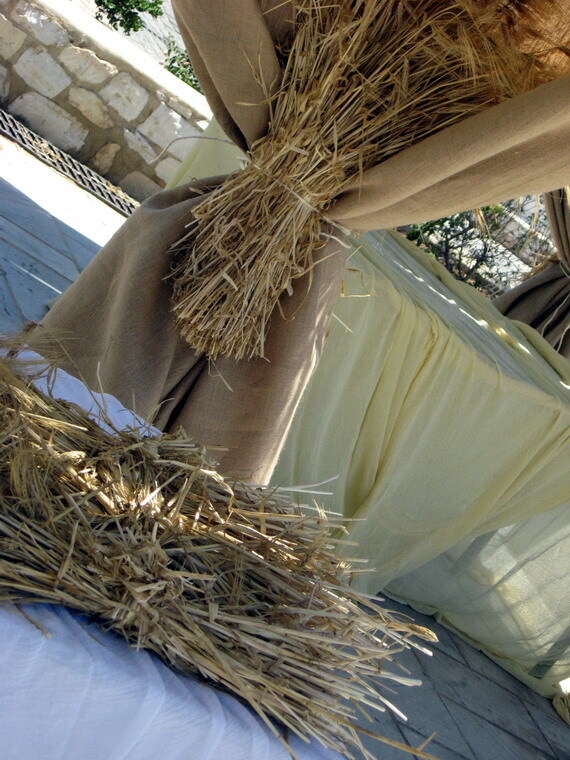 For instance, Paros produces tons of wheat every year. Tons of olives and olive oil. Obviously the marble – Paros has the purest white marble which was used to build the Acropolis. 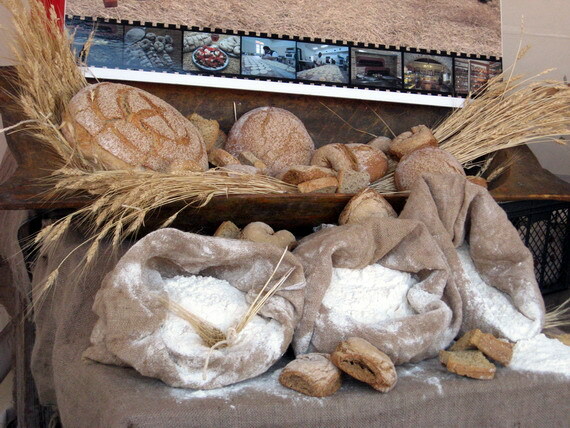 As part of the cultural events happening on Paros this summer, there was a Festival of Bread. 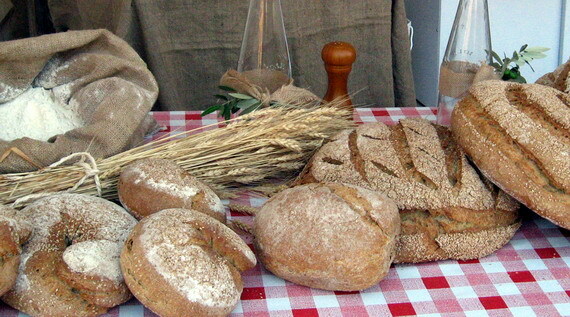 There were stalls from bakeries all over Paros with their products and demonstrations on how bread is made. Some of the bakeries on Paros produce their own wheat and flour and use woodfire ovens to bake their bread. Yum. Of course there were tastings too, with lots of things on offer. 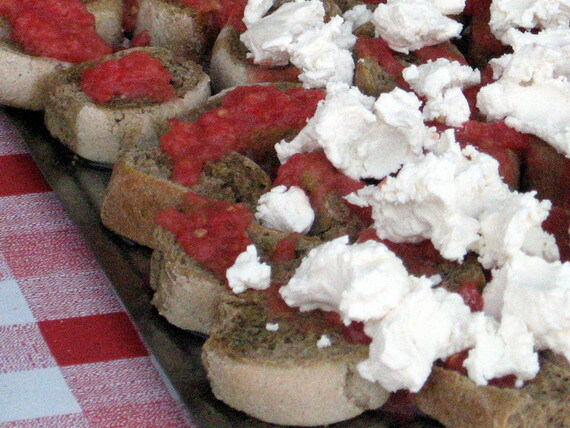 This is called ‘dakos’… dried bread rusks with tomato, olive oil and mizithra (a locally made cottage cheese or ricotta). When we were kids my grandmother used to make this for us. She used the big HARD rusks you have to dip in water before you can eat them. She’d put the dipped rusk on a plate, drizzle olive oil on it, cut a tomato and empty its guts all over the rusk. She’d then add olives, capers, feta cheese and oregano. 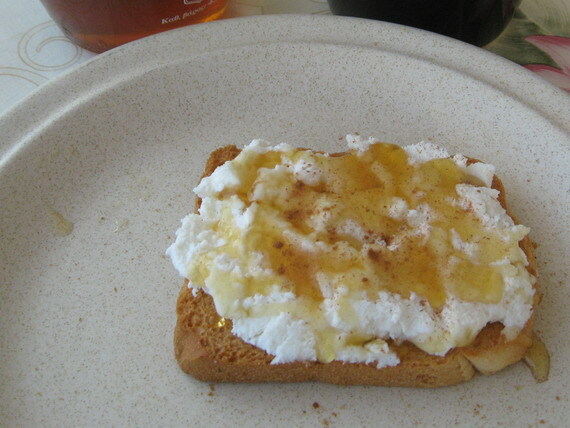 Another way to eat mizithra: on a light rusk with honey and cinamon…. This holiday has become not only a family and friend catch up time, its become a taste sensation time as well. To start with all I’d eat was greek salad… the real greek salad: tomato, cucumber, olives, feta,peppers, capers, olive oil, oregano. Notice the abscense of onion. I hate raw onion. 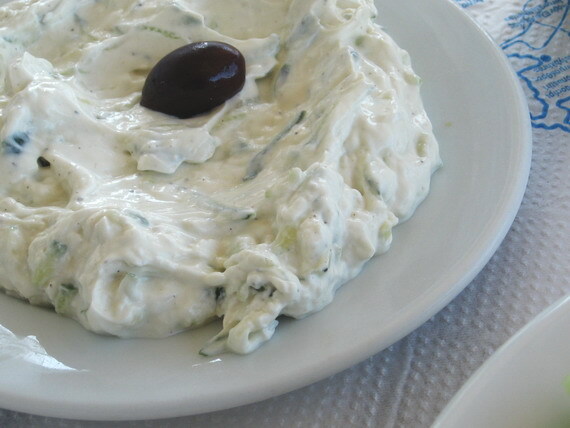 No meal is complete without tzatziki though… I think I’ve spent the entire holiday with garlic breath. Souvlaki. Its a complete food group in itself. There’s nothing like a real greek souvlaki anywhere but in Greece. Forget those kebab pita bread things they masquerade as souvlaki in Australia. This is the real thing. The best souvlaki on Paros is at Zorbas near the port. Be sure to visit when you come here! My problems started when Inge and her daughters were visiting. I was being really good till then. I’d eat at home and watch what I ate. Anyway, when Inge came I had to take her and the girls out to try different things. Souvlaki naturally, but they wanted to try some greek sweets. We’d go to cafes and order a greek coffee and then a few sweets and share them so they could try it all. I think we tried about 5 different types of baclava, galaktoboureko, ravani… all greek sweets with nuts and syrup. 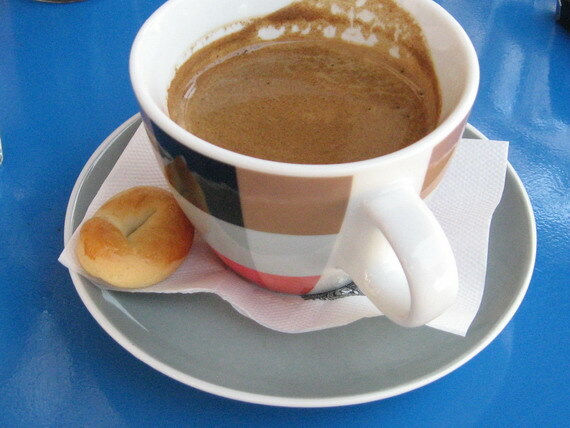 Greek coffee in a larger cup. 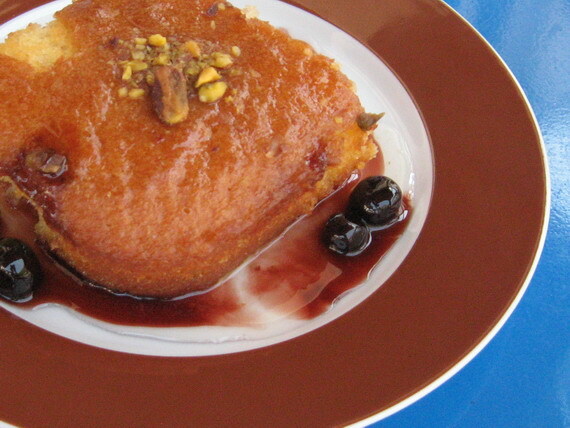 Ravani, a cake made with semolina and doused in syrup, served here with sour cherry. What is it with mother’s though? From the day I arrived in Greece my mother has been a ball of contradictions. She asks what food I’ve missed, what do I want her to make me. Then she rations the bread, giving me ONE slice. If I dare to take another she’ll give me the evil eye. She’ll tell me off for going to the bakery and buying a bag of greek cookies (kolourakia) cause they’re fattening, yet she’ll come home with some cake that some friend made for me. She is spoiling me however. She’s bought greens for me cause I can’t get them in Australia. She’s making me yiovetsi cause its one of my favourite dishes. She made imum for me twice. Octopus drying in the sun in the square in Naoussa. 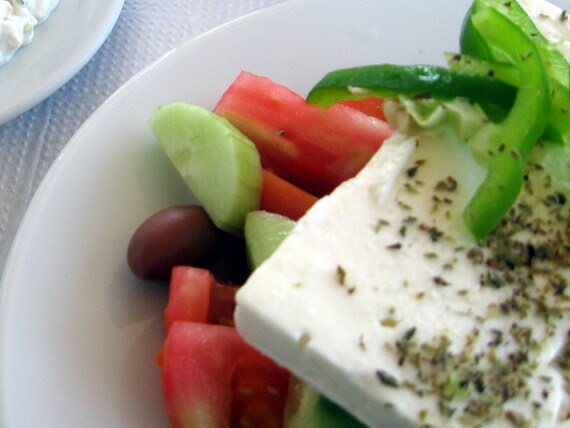 Its not all traditional greek food. 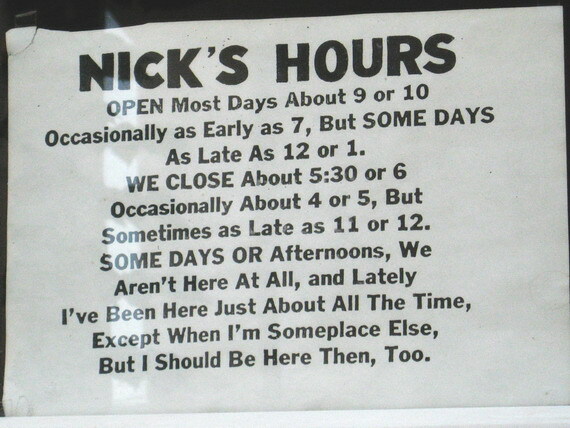 When on Paros we all have to visit Nicks for a hamburger. The Big Nick. 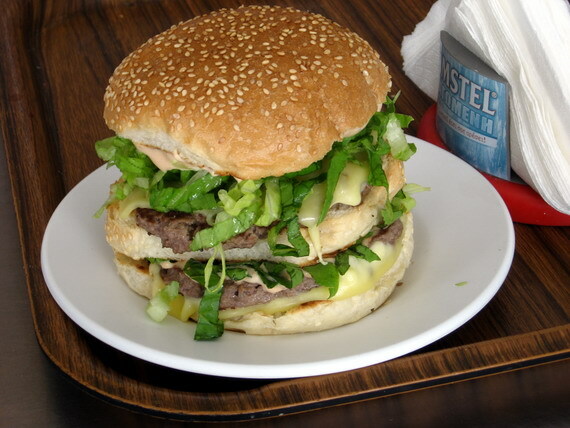 Big Mac eat your heart out. My brother’s friend Michali bought Nicks Hamburgers about 20 or so years ago. 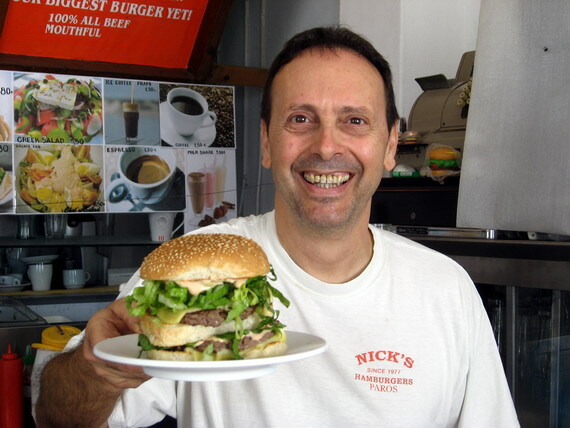 He still makes the best burgers on Paros. And he’s a really cool guy. I’m trying to start a tradition here: every girl who orders a burger has to give Michali a kiss. I thought I’d share a photo of some greek beers. Fix is a beer that was around when we lived here many years ago. The factory closed and it went out of production for a very long time. Its now back. Notice the label. 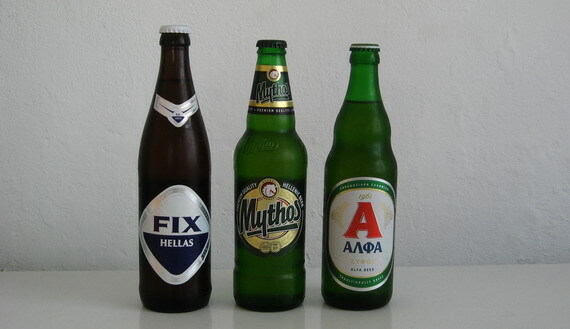 Is it a coincidence that the beer is out now and that the label reads “Fix Greece”? Its not all food, sweets and souvlaki. I’m eating tons of figs too. 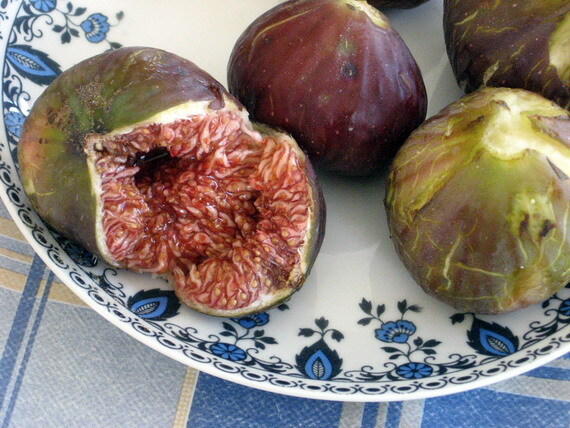 Mom, bless her little cotton socks, has been stealing figs all over Paros for me. 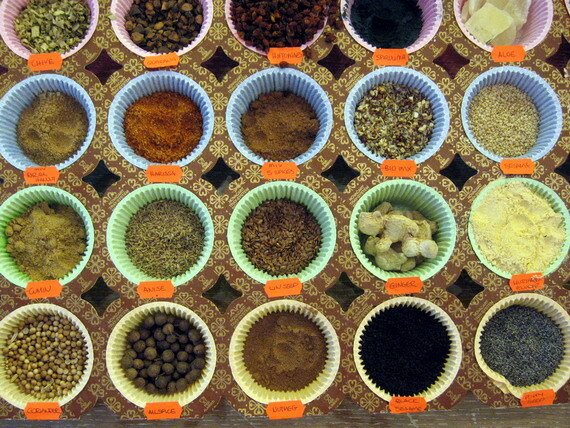 Lastly, here’s a gratuitous shot of spices, pretty colours, a pretty display in a shop in Naoussa. * I’ll finish on a thought… People always say greek names are too long. Well, its not just names that are too long. Words are long and sentences are longer. Greeks are of the ‘more is better’ school of thought. When I shut down my brother’s netbook (which has its OS set in greek) the message took me five minutes to read and took 2 lines. 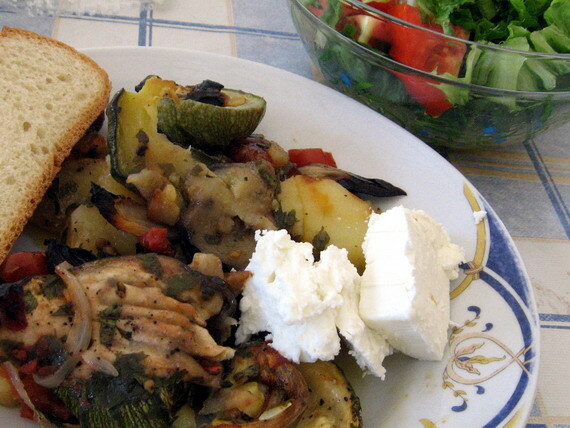 This entry was posted in food, greece by zefiart. Bookmark the permalink. Yup read it, just in case you're checking!! !